Q: Are these REAL lightsabers? Q: What are the blades made of? A: The blades of most of the sabers are constructed from 64 individually sequenced LED lights inside a polycarbonate tube. The early sabers (Original Luke ROTJ and Anakin AOTC) are the only ones that do not use the LED blades. These two sabers use an EL or Electro-Luminescent blade. The Following Names are reserved and cannot be used in whole. Screen Names are also not allowed to be in ALL CAPS, unless mixed with numbers and does not create a legible name. Canon Names are reserved and are not allowed to be used in whole or with Numbers any violations will be changed. In this RULES AND REGULATIONS GUIDE, the word: MEMBERS will mean the GENERAL MEMBERSHIP. ADMINISTRATORS will mean the creators of the FX-Sabers.com website. They oversee the behavior of ALL MEMBERS and have the final decision as to what will transpire in any event. 1. SWEARING - Even though we have a swear filter on this site, there are still ways of typing words that sound similar to this or posting pics of vulgar or pornographic acts/material. Due to the nature of this website, this manner of posting will be removed, regardless and a PM warning will be sent by a MODERATOR. Please read this - Swear filters, abbreviations and stuff like that. - which discusses abbreviations and swearing. 2. FLAMING AND/OR HARRASSMENT - Any FLAMING OR HARRASSMENT of another MEMBER or MODERATOR will NOT BE TOLERATED!. This includes, but not limited to "beating a dead horse", derogative insults, etc. 3. BELITTLEMENT OF OTHER MEMBERS AND/OR MODERATORS - Even though a MEMBER'S view of another MEMBER'S/MODERATOR'S behaviour may be that of irritation and immaturity, there is NO EXCEPTION OF PUTTING THEM OR THEIR STATEMENT(s) DOWN. This can sometimes be confused with a MODERATOR explaining a post's meaning for the 5th or 6th time after it was explained by the topic's author. Unfortunately, because the MEMBERS and MODERATORS do not see face to face physically, meaningless repetition of an inquisitive post is to be taken at face value, as the way it is typed. There will be NO bad mouthing of ANY other forum on this forum. This rule will be followed VERY strictly. This forum is not to be used as a place to slam, badmouth or imply that other forums are "bad" or "elitist" or any other related terms that people have been using in the past. Trying to get around this rule will only provoke Mods and Admins and hopefully other members who care about this forum to take action. If a MEMBER feels that a MEMBER or MODERATOR is belittling them, PM a MODERATOR or the ADMINISTRATOR with your concerns. 5. TOPIC RULES - On FX-Sabers.com, there are topics that are like games, done for fun and lighten the mood of the more serious topic threads involved in collecting or so on. The MODERATORS have noticed that some of the MEMBERS are not following the rules laid out by the topic's author. Please follow the rules that are implemented. 6. SCREEN NAMES Also, when MEMBERS create their Screen Name, please refrain from Capitalizing each letter in that name, as this is for the MODERATORS and the ADMINSTRATORS. This is to distinguish them in a simpler fashion. MEMBERS who have total Capitalization, will be asked to correct this. Screen Names are also not allowed to be in ALL CAPS, unless mixed with numbers and does not create a legible name. 7. SIGNATURES - The total amount allowed at this time for the MEMBERS's Avatar size is 80 pixels x 80 pixels and the Signature size is 300 pixels long by 150 pixels high, IN TOTAL. This allows the Site to open pages at a smoother and faster rate for our MEMBERS. Also, there is to be no links to personal or other sites in the signature section. *EXCEPTION* A MAXIMUM OF 2 LINKS TO OTHER FX-SABERS.COM FORUM TOPICS IS ALLOWED. But only links to within the Site *EXCEPTION* This what the MEMBER's Profile is for and any links will asked to be removed. If the MEMBER exceeds the Avatar and/or the Signature size, they will be asked to correct the size. NOTE: MODERATORS, ADMINISTRATORS and SABER GUILD MEMBERS are allowed more size due to the nature of their position and SABER GUILD MEMBERS ARE allowed to have THEIR website in their signatures for business purposes. 8. ADVERTISING AND BUSINESS ASSOCIATION / THE TRADE FEDERATION - While only Mining Colony and S.A.B.E.R. Guild members are allowed to post and solicit work on this Forum, we will allow general discussion of off site vendors in the Toshi Station Board ONLY. If said offsite vendors wish to do business on this site, they are welcome to apply to the Mining Colony. If their work is found to be of good quality, and they are found to be trustworthy proprietors, they will be allowed to conduct business here as a member of the Mining Colony. We will also allow for reviews of outside vendors, and their feedback will be found in a designated area of Scarif. ONLY Mining Colony and S.A.B.E.R. Guild members are allowed to advertise their site and/or business pages/names/etc. in their profile. Please do not use the PM system to try to direct sales off site. If you wish to do business here, apply to become a Mining Colony Member and show the ENTIRE community that you are a person/business entity that produces quality work and worth confidently doing business with. If you wish to sell (or buy) something, please read the following rules before posting within the Trade Federation. These rules exist to protect you, the buyer, as well as the seller. 9. FEEDBACK PROTOCOLS - Feedback is here for everyone to peruse, and in-fighting between members WILL NOT be tolerated. If you have an issue with another member's feedback they left you, discuss it with them PRIVATELY in PM's NOT on the open forum. If you cannot resolve the issue, send a PM to an Admin or a Moderator for escalation. From this point on, there will be NO ARGUMENTATIVE / Retaliatory posting in the feedback threads. IF any argumentative or retaliatory posts are found, they will be deleted, and notation will be made in Council about the offending member and post. If argumentative or retaliatory posts are still found after the initial deletion, the responsible parties could face being banned. If an outside vendor has an issue with feedback (bad OR good) for them being posted here on FX, FX-Sabers hereby reserves the right to ban ANY DISCUSSION of said person, or entity. A post of said "Ban" will be publicly posted. Any negative feedback of business entities will require "proof" to be submitted. The content of any and all posts and comments on FX-SABERS represent the opinions of the original poster, and are not endorsed, approved, or otherwise representative of the opinions of FX-SABERS, its owner, site moderators or administrators. Additionally, posts on this website are the opinion of the specific author and are not statements of advice, opinion, or factual information on behalf of the owner, moderators or administration of FX-SABERS and as such FX-SABERs is not liable for the opinions and/or posts of its members. 10. DISCIPLINE - In case of an infraction of any of the above rules, the MODERATORS will remind the MEMBER of the rules publicly OR privately via PM, and remove or edit the offending post as necessary. If that MEMBER persists in not following the rules, the MEMBER will be warned by PM, the topic locked and / or removed as appropriate, REGARDLESS and it will be discussed in COUNCIL. The third warning from the MODERATOR and that MEMBER will have a Temporary Ban placed on his/her account and shall be contacted by the ADMINISTRATOR. If further infractions occur, the issue will be brought before the COUNCIL and the MEMBER will be PMed by an ADMINISTRATOR of this site, whom will decide in what manner to proceed with this issue. THIS IS FINAL. In the event of anything pornographic, you will be automatically placed on a Temporary Ban and the ADMINISTRATOR will render the final decision. Approved the ADMINISTRATION and Supported by the MODERATOR STAFF. THIS UPDATED RULES AND REGULATIONS AGREEMENT AND SHOULD BE SIGNED AFTER READ. Please post your acknowledgement. Thank you everyone. Selling spots on runs on FX-sabers will now be limited to ongoing runs on FX-sabers, unless a manufacturer or staff member is involved organizing the run. Spots on runs on other websites will be removed from the Trade Federation. It's a virtual product. No sales of those on FX-sabers. A physical product must be sent via mail. As spots on runs are a product in the making, and members run into DRL situations selling of run spots on FX-sabers are being allowed based on the run organizer's reputation and proven ability to deliver quality products. Spots in ongoing runs on FX-sabers are run by FX-sabers staff or manufacturers, and they will complete due diligence to make sure the seller and buyer are both clear on details of the run and that no shenanigans are taking place. The runs on other forums have no oversight by FX-sabers staff, and if theft were to occur there is not much FX-sabers could do about it. The seller on FX-sabers site through no fault of their own would be open to paypal claims, negative feedback or possible Trade Federation restrictions by FX-sabers. If you are a run organizer, or simply stumble across an ongoing run browsing the net, CONTACT A STAFF MEMBER before posting about it. Lately we have made a few changes to FX-Sabers, mostly in colors for usernames. Special thanks to Darth Maul for finding colors that are easier to read, and not blinding to the eyes. We're here to assist in technical issues and forum issues, we hope you our services a valuable asset to the community. We've gotten some pretty good protections in place to avoid registration and posting by spammers. We used to remove a gross amount of spamming members each day, and the new protections have cut down on that need, but some do or may still sneak in. If you do see a spam post, reporting the topic to a mod is a great way to call attention to any spam topic that has slipped through our defenses. Members are only permitted one image in the signature block. That should be no larger than 300 x 150. However, any saber tags the user may want to add are separate and not counted against the "one image" restriction. You can adjust the size in your profile settings. You just have to type in the proper format. There is to be no links to personal or other sites in the signature section. Although your personal signatures can be of any content, Please keep in mind that this is a Star Wars fan community and is focused on FAMILY entertainment and content. Please keep it clean. All signatures must be hosted with your own photohosting account. No 300x150 animated signatures for regular members. In order to have a more consistent enforcement of the Trade Federation - Rule number 3 for all members, business names will no longer be allowed, unless the member is a Guild or Mining Colony member. Only SABER GUILD and Mining Colony members are allowed to advertise their businesses here on FX-SABERs. This includes advertising a website, facebook page, etc. or other forums you may be a member of either by direct link, via PM or just directing people to your website, Facebook page, etc. but is not limited to usernames, sigs, avatars, thread titles or in posts. However - All Saber Tags in your signature must be hosted on your own photohosting account. Maximum size is 10 saber tags stacked, although 5x2 is also acceptable. Sabertags are an exception to the no-animation rule: Animated scrolling of sabertags is allowed for all members. Click on the above image and it hotlinks directly to the enjin site. We have a guildeline against this as it poses a risk to the forum in the main R&R and if the enjin site were compromised, it can post a risk to the forum. All members need do is remove the URL tags before saving in the sig area. example with above code removed. Or save it to your computer and upload to a third party photo hosting site. Sometimes, Members become irritated with the decisions of a Moderator or two. - Moderators are volunteers. They give their own time and they attempt to run the FX-Sabers Forums as smoothly as possible. If they act upon a decision, there is a reason why. - As in law enforcement, scholastic institutes and the corporate sector, the rules and regs are interpretted as best as possible. The Mods do not just change stuff because they feel like it, nor do they abuse their position. They are here to encourage positive fun and ensure that debates and disagreements are monitored. - Like anything else in life, not everything is observed at once. Most Members here have been positive in reporting things, but if we do not catch it right away, inform a Mod in a positive manner. We are all individuals........We all have certain Points Of View. We are to respect them, but we must also respect and understand those who have been asked to help maintain a smooth operation on FX-Sabers. Raffles and Auctions are not allowed (unless approved by Admin), and will be removed immediately. On this site, you can not change your username yourself. However, if you send a PM to Yoda HAN SOLO, LUKE SKYWALKER, LUMINARA UNDULI, JANGO FETT or OBI-WAN KENOBI, one of them will usually change it for you. First Step: Make sure it is uploaded to a photo sharing site, many people use Photo and image hosting, free photo galleries, photo editing, but other sites will work as well. Once it is uploaded to the photo sharing site, look for the small box in the bottom left hand corner, under "SHARE THIS IMAGE." Click the URL to the right of, "DIRECT LINK". It will automatically copy it for you. Second Step: Log into the forum. Now click the "PROFILE" tab on the top bar (The bar goes HOME - HELP - SEARCH - PROFILE - LOG OUT). Third Step: Click the "FORUM PROFILE INFORMATION." Tab on the left hand side. Fourth Step: For your avatar, Click the small circle by "I have my own pic" and copy the URL into the blank provided. For the Signature, scroll down to the bottom of your profile. You'll see a box next to "SIGNATURE". Now is where you have to use the Image HTML codes. Copy and paste the IMG tag seen in the above image, where it says "IMG code" and paste it into the signature field. - 300 x 150 Pixels excluding saber tags. Animated signatures are reserved for Moderators and Guild members. Want to show what sabers you have? Use the official FX saber tags! 1. There is now and “Add image to post” option under the reply text boxes now. This is a Forum Mod we just added, which is attached to an off-site, free third party hosting service imgbb.com. While is isn't necesssary to create an account with them, if you want to organize your stuff, It might be a good idea to create an account, so you can organize your stuff. 2. Once you have uploaded your images, select the BBCODE (thumbnail) code, and copy that back into your post. 2. You can use imgbox, which is also free, but has an ad or two on their page (which really was no worse than Photobucket. 3. You could use Google picture hosting, which gives you something like 15 GB of space, and is free. 4. You can also use Imageshack. 5. You can use imgur, which is like $49. A year for a hosting account. While it is possible to go in and manually “repair” your broken links from Photobucket, by changing the address from http to https, it might just be easier to use one of the other options listed above. We will be giving people 90 days to sort out their posts and pictures, and what hasn’t been repaired will either be left with the broken links or simply removed if the posts weren’t of any great importance. 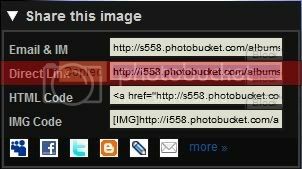 EXAMPLE uploading pictures with Photobucket or ImageShack, copy and paste the [IMG] code into your reply field when posting a reply. Want to make those pictures "clickable" for a larger image? First - add the URL tag: This can be done in the "post editor" controls using the "insert hyperlink" button. Next - add the image tag: This is done the same way but using the "insert image" button. 500+ : Master Force User. But remember, the number of posts you have doesn't matter. When the council sees the need for new moderators, the existing mods and admins will agree on who will be promoted. There is no need to ask to become a moderator, and asking will not help you become one. - Do your research on your sabersmith first. Check out previous work. Google the sabersmith's name. Check Ebay Feedback. Search the forum for topics and feedback by the sabersmith. Check our their build logs. Don't just look at the numbers of the ratings, read between the lines. Were there hiccups along the way? Did it take longer than expected? Was there a lag in communication? This is the most important piece of advice any experienced member here can give. Read their page and see what their requirements are. Can you afford their rush fee if you're already 12th in line? - Remember to be realistic when it comes to both price and time involved. These are often custom individually made pieces, and the price and time frame will reflect that. Do your research and have open, honest communication with the sabersmith involving these factors. On the other hand, do not commission a sabersmith based entirely on their price. Just because he's the first person to approach you, or he promises you a quality build for a fraction of the price, that doesn't mean that you'll get what you expected. Has he posted examples of his previous work before? Were the pictures clear and closeup, or blurry and dark? Was he detailed? Has there been posts regarding his interactions with other people? - Take your time to figure out what you want BEFORE you commission a work from a sabersmith. Custom lightsaber commissions should not be impulse buys where you say, "build me something shiny!" and then go back later with numerous revisions and additions. This will only lead to frustration for the sabersmith, and more than likely disappointment for the customer, not to mention the 'nuisance fee'. The conversation with the sabersmith should be detailed and open and honest in the beginning, and the final design should be decided upon before any work is commissioned, so that there are no surprises with the end result. - NEVER give the entire commission fee before the saber has been built. There is no acceptable reason business-wise why this should be done. Ever. An accepted amount for a first payment is between 25-50% of the fee minus shipping charges. - Realize that the Mining Colony and the Guild have been set up for a reason. These people have a PROVEN track record for not only solid technical skills, but superior customer service. We are not telling people to ONLY do business with them, but they are held accountable to the Council should there be any wrong doing, whereas general members are not. - Conduct as much business as possible through the forums. This is for your protection. If all your business transactions are via phone calls it will just turn into a big he-said-she-said with no proof. - Be aware of the rules on the forums. If anyone approaches you via PM who has not met the 3/50 rules or is restricted from selling or conducting business in any way decline them. If they approach you to commission something to be built for you, only Mining Colony and Guild members may commission projects here. There's a reason why they aren't allowed and it's because we have the protection of the buyers in mind. - Discard the notion that this is a simple or quick way to make extra money. It takes time to learn how to build a saber with all of the features that customers want now, and that comes with experience. Don't think that just because you made a few sabers for friends that you have all it takes to set up a successful business, even as a side business. You will need all the skills, reputation, knowledge, and equipment on hand before you can even think of opening a business. Trust me, this isn't a '3 out of 4 is good enough deal'. If you're missing just one of those, people will see it, and they will tell other people, who will then think twice about doing business with you. - Customer service is even more important than saber-fu. You may be a competent builder, but that is just half of what it takes to successfully sell sabers that you've built. Technical skills can always be learned and improved upon, but if you have less than stellar customer service skills it won't matter. Why? Because that is what you're going to be giving your customer in between taking their deposit and delivering the finished product. And THAT is what people will remember of you. If people say, "the saber was solid, but he was a pain to work with." People aren't very likely to go to you. There's an old adage in the business world that says, "A satisfied customer will tell a few people about their experience with you but an unhappy customer will tell everyone they know." - Invest in your business. This means never stop learning and practicing in your skills. This also means that you MUST have all the tools and supplies necessary to do the job and satisfy the customer before you take on a commission. - Never show less than your best work. If your work has scratches, or dings, or chatter don't show it to potential customers. This may be a one time occurrence for you but they're going to take that as a common occurrence. There's also that whole 'professional pride' thing. I'm not saying to hide your imperfect work. I'm saying to not give anything less than your best at all times. - Don't take on new commissions until the previous commissions are completed. Trust me. What if you get in a car accident and can no longer complete the builds that you took money for? What if you took 10 commissions so that you could get a price break on supplies? How are you going to pay back all those people who aren't going to wait 6 months before you START working on their sabers. All the people say this will never happen to them end up getting complaints and a bad reputation. Does it happen? Yep. Unfortunately too many people have used the excuse of DRL - Darth Real Life to just skip town. - Excuses are in-excusable. The unexpected happens, but proper planning should keep the majority of real life excuses at bay. And also, it's not the customer's fault, and they shouldn't have to suffer. If the build can't be completed, if there are delays, then be up front as soon as possible, but don't give excuses. And yes, harsh as it sounds, every single person that has skipped town with people's money never to return have all given the family tragedy excuse. Every. Single. One. - Be honest with your customers from the beginning and always keep constant communication with them. This is pretty much self explanatory. - We take these rules seriously, and will enforce them. - We will help you out when we can, and will explain what can and can't be done. - DO NOT ACCEPT COMMISSIONS IF YOU ARE NOT A MINING COLONY OR GUILD MEMBER. There are proven reasons for this. If you feel that you are ready to start accepting commissions (and many things besides technical skill MUST be taken into consideration) then apply for membership at the Mining Colony. Ask current MC and Guild members and staff for advice. Why can't I pick any name I want? The Following Names are reserved and cannot be used in whole or in part with numbers attached. Screen Names not on this list are also not allowed to be in ALL CAPS, unless mixed with numbers. The Names are reserved and are not allowed to be used in whole or in part or with numbers attached. How do I send a Personal Message (PM)? To contact another member via PM, there are several ways to go about it. 1. Search the Member list for the member you wish to message, then click on their name to view their profile, and select "Send personal message"
Clicking any of those in a member's information bar on each post in a topic will take you to the PM window. It looks like the following picture below. Here you can enter your message and select who it goes to, how it is saved in your outbox, and other options. New to saber building? Where to Start? There are YEARS of information on FX-sabers, with lots of great discussions and mind-blowing tutorials. Some people like to learn things on there own and that's how we get all these great topics. Some of us like diagrams and instructions and see the value in those that have paved the way and shared their ideas. Below is an index of great tutorials around this site. It might be useful to post the links in one, easy to find place. Here's my attempt at this. Our moderators have been editing posts that are circumventing the swear filters. Most of it is seemingly harmless abbreviations used in today's age of texting and social networking. We'd like to remind you all that even abbreviations, (LMAO, WTF, BS) are terms we want to steer clear of here. Yes, I know, I just typed them, but we want to be clear on what we are talking about here. The use of those, and others which relate to a phrase that has a curse word in it, are not allowed at FX-Sabers. Additionally, just because the forum "x"'s most curse words automatically, it does not mean it is OK to continue using them. Only tangible physical products can be sold through the FX-SABERS site. Appropriate sales should happen via the Trade Federation, must be completed physical product and have current pictures. Fonts, digital artwork, digital renders, etc. cannot currently be sold here. Master Yoda's article on "The Verge"
I wanted to share the video and interview from last night with the wonderful Natalie Brunell of KCRA TV.